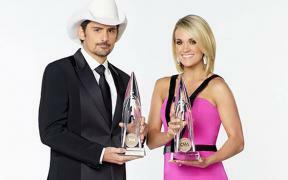 Honoring excellence in Country Music, hosted by Brad Paisley and Carrie Underwood from the Bridgestone Arena in Nashville, and featuring performances by Dierks Bentley, Eric Church, Maren Morris, and Keith Urban. 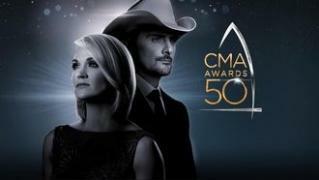 Excitement continues to build as the first round of performers are announced for "The 51st Annual CMA Awards," airing live from Bridgestone Arena in Nashville. 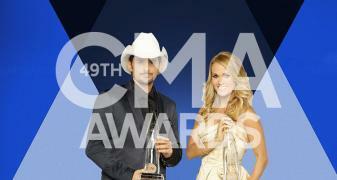 The Country Music Association has announced the final nominees for "The 52nd Annual CMA Awards," as Chris Stapleton tops the list of finalists with five nominations. Producer and musician Dann Huff receives four nominations, the second most nominations this year, while nine garners three each—Jason Aldean, Dierks Bentley, Dan + Shay, Florida Georgia Line, Chris Janson, Miranda Lambert, Midland, Thomas Rhett and Keith Urban.